While accidental or deliberate chemical, biological, radiological, nuclear, and explosives (CBRNe) incidents are still widely considered to be fairly low probability events, their impact on citizens, society and infrastructure can be immense. 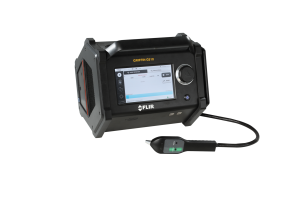 If and when they do occur, the speed of response has been shown to be absolutely critical when it comes to taking charge of the scene, avoiding further contamination and saving lives. Research published by the ORCHIDS (Optimisation Through Research of Chemical Incident Contamination Systems) project provides quantitative evidence of the recommended techniques for handling potential contaminants or scenarios that will require emergency mass casualty decontamination. 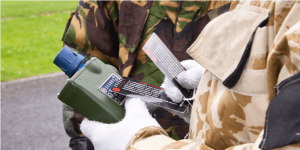 The knowledge, skills and experience of those charged with CBRNe instruction is paramount in ensuring that the best possible training is provided to those emergency response personnel tasked with responding to hazardous incidents. 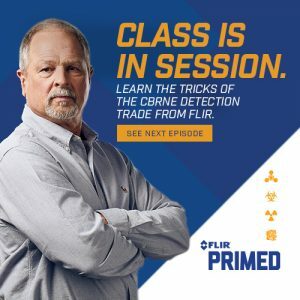 But finding innovative ways to create realistic CBRNe training – in a manner that accurately depicts the reality of modern threats, and that replicates the array of sophisticated detector equipment available – can present a very real challenge for instructors. One of the biggest obstacles is undoubtedly time. Training exercises, by necessity, often need to take place within tight timeframes. While an actual search and survey mission may take many hours to complete, an exercise may need to be truncated to a matter of minutes. 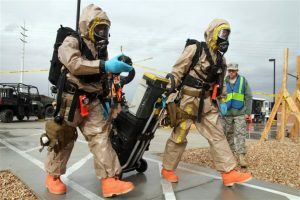 Having had the opportunity to observe a wide variety of CBRNe scenarios and consolidation exercises over the years, a few key factors have become especially apparent when it comes to the efficacy both of the training and the training environment. Classroom learning undoubtedly has its place, but providing trainees with the opportunity to handle actual detector equipment, or replica simulator detectors, in life-like scenarios is key to their understanding. And, as we have discussed in previous blog posts on the subject, the more realistic the scenario the better the outcomes both for the trainee and the instructor. In the early stages of an incident it may sometimes be difficult for a first responder to establish that a CBRNe incident has even occurred. In some cases there may be visual indicators, odd smells or tastes, or obvious physical symptoms which provide a clue to the presence of a threat. But while hazardous chemical releases are often (but not always) accompanied by a more rapid onset of symptoms, radiological or biological releases may not become apparent for minutes or even hours after the initial event. These factors mean it is all the more important that trainees have confidence in their personal protective equipment (PPE), confidence in use of their detectors and confidence in the readings that they obtain. 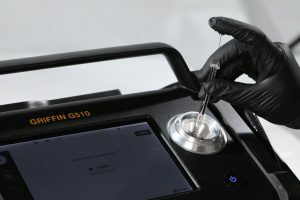 With that said, participants don’t always get to spend a huge amount of time handling the equipment, which means ease of use and simplicity of operation are extremely important factors. Something that becomes immediately apparent once trainees don their PPE equipment is just how much their visual, verbal, auditory and manual capacity is affected. The sense of psychological isolation, anxiety and/or feelings of claustrophobia are also very real issues. And it is up to the trainee to be able to manage these physical and psychological challenges, whilst staying focused on the task at hand and ensuring they deliver accurate information to those up the chain of command. Having access to, experience of (and confidence in) their detector equipment is a critical element of effective CBRNe response. 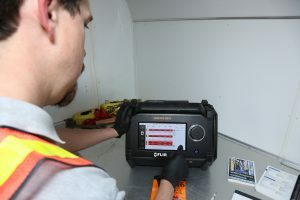 Even when working within tight time constraints, an observance of methodical scene management will be critical to ensuring that emergency responders are able to work in a controlled environment, that risk to themselves and the public is minimised, and that any potential crime scene is protected.